Speaking of which, this shop has a Bullitt from Larry vs Harry. 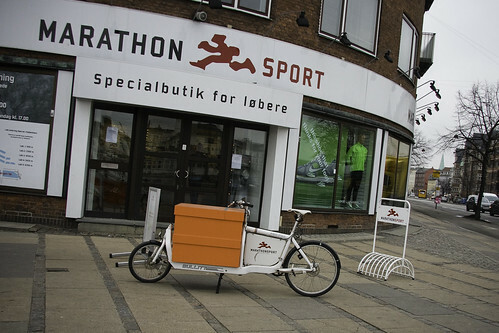 They sell running gear and they designed a custom box for the bike, shaped like two Nike shoeboxes stacked on top of each other. 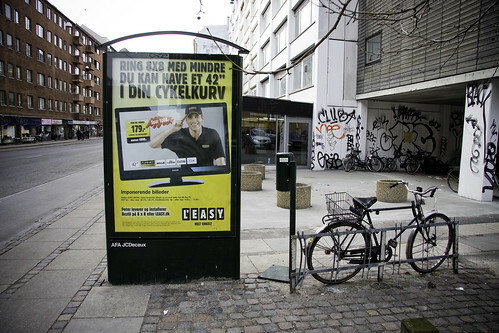 Instantly recognizable on the streets. Great branding for the company.